Portland Riverside Marina is one of the friendliest marinas we know, and that's one reason why we like to store our boat there each winter. But there's another good reason: the voyage downriver to our mooring in Fishers Island Sound each spring and back upriver in the fall. 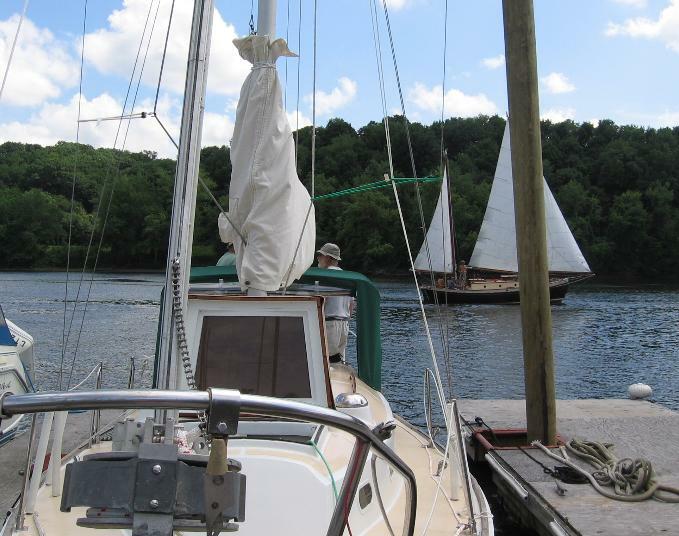 The sail down the Connecticut River from Portland Riverside, past East Haddam and on to Essex and Old Saybrook makes for a perfect way to start off the season. 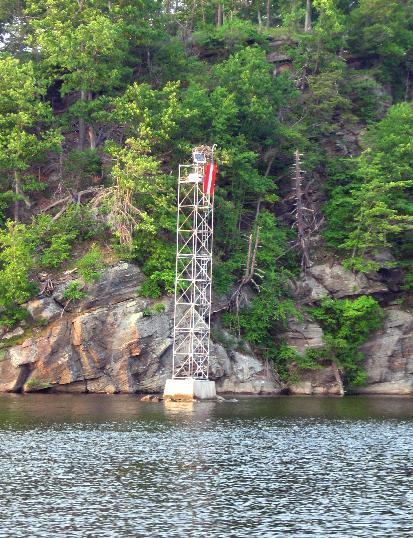 The river's channel is well marked with buoys and day markers, making it easy to navigate, and there are beautiful sights along the way such as the Goodspeed Opera House, Gillette Castle, Hamburg Cove, the village of Essex, and the mouth of the river at Old Saybrook. We've made so many friends at the marina while working on our boat that we always leave with mixed feelings. But we'll see them again in the fall, or perhaps out sailing on the Sound. We'll miss Karen, the marina's manager, too. She runs one of the friendliest marina stores around. The store's well stocked with supplies, and if she doesn't have the part, she'll order it overnight. And she has useful information about bridge openings, the weather, and the river height and current. Before we set off, we always stop in to say goodbye. 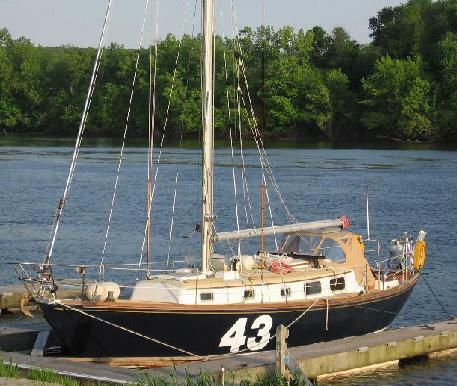 Time for us to be going, to motor downriver and then sail out to our summer mooring in Noank, just west of the mouth of the Mystic River. We sometimes leave Portland early in the morning, but on our last trip downriver we got off to a late start at about 2:30 p.m. The voyage frequently requires crossing from one side of the river to the other to follow the channel. You can just make out one of the river's red day markers in the photo above, on the left above the dodger. We head around the wide bend downriver from Portland, and then past Bodkin Rock and the Straits. One spring, we started just before dawn, and the river seemed to belong to another age, untouched by man, serene, with wisps of fog over the water and the occasional splash of a fish leaping out of the water. With the sunrise, the first fishermen appear on the banks, and sometimes we pass an early-morning canoeist or rower. 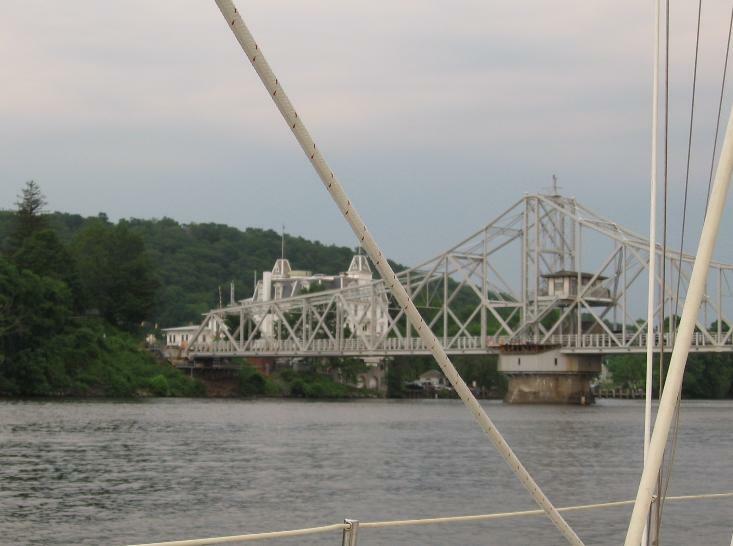 The first bridge on the journey downriver is the East Haddam Swing Bridge, next to the Goodspeed Opera House. The bridge opens every half hour on request, and you can hail the bridge tender on VHF 13. We reached the swing bridge at about 4:30 p.m. on our last voyage, this spring. The year before, we dropped anchor in the morning and heated a pot of coffee while we waited for the bridge to open. 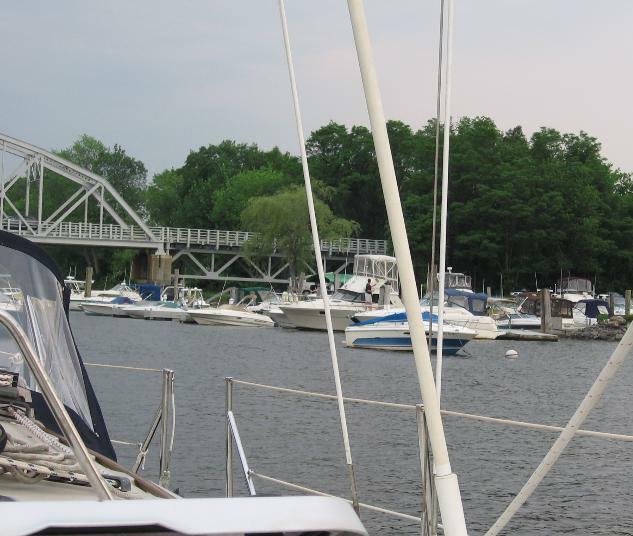 If you're running late in the afternoon or evening, you can pick up a mooring for the night at Andrews Marina just north of the bridge. We thought we'd have to stay there one evening when the bridge tender was having problems opening the bridge. 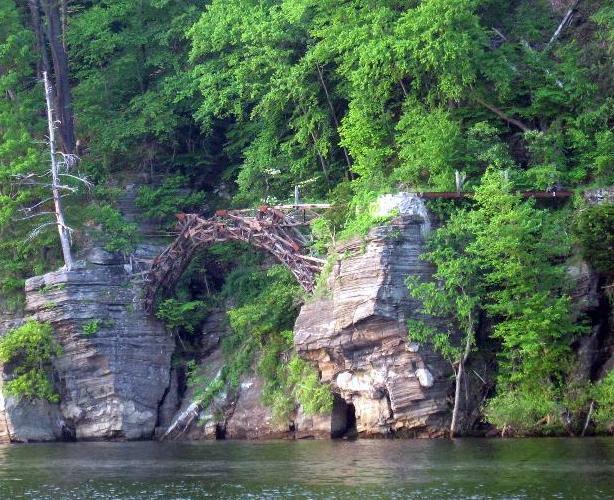 "Bridge is broke," he said laconically. "Any idea on how long it'll be?" we asked. "Don't know. Crew's on the way." The crew soon arrived and fixed the problem, and the clanging bell on the bridge was our signal to start up the motor and raise the anchor. 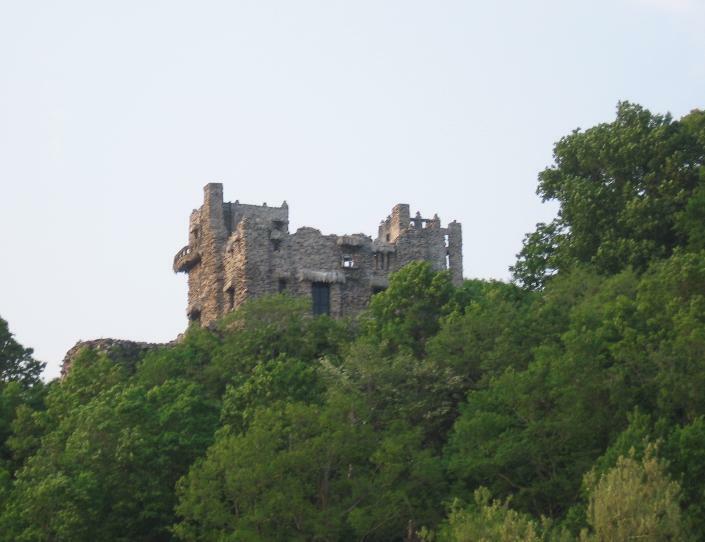 The castle was the creation of William Gillette, an actor best known for his portrayal of Sherlock Holmes in the early 1900s. Gillette had a small train that circled the property, and from the river you can see the remains of wooden bridges for the tracks. 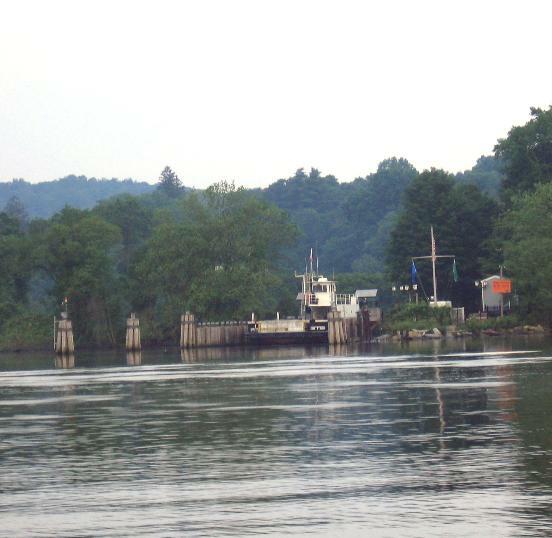 Downriver from the castle is the Chester-Hadlyme ferry, which began service nearly 250 years ago. 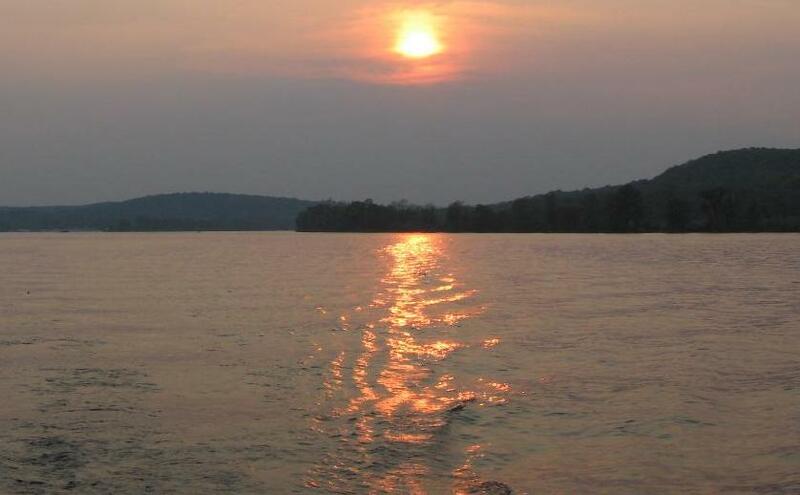 Once a barge pushed along with poles, the ferry was used in the Revolutionary War to carry supplies across the river. The present ferry, the Sedan III, was built in 1949 and carries only about eight cars. Passing in front of us, the ferry brings to mind the "On-Time" ferry to Chappy from Edgartown. 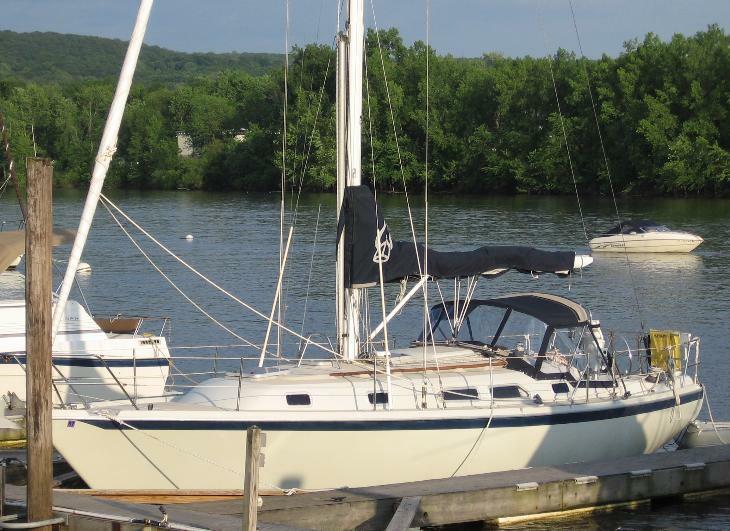 It won't be long before we're heading to Martha's Vineyard on our sailboat. The river carries us toward a summer filled with voyages. 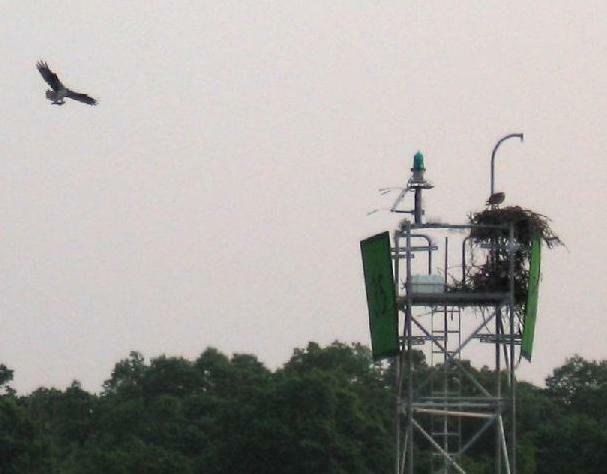 Heading toward Essex, we spot a bald eagle that's found another use for a green day marker. We slow down the boat to watch the eagle feeding its chicks in the nest. Below, you can just make out a fish in the eagle's talons -- fresh sushi delivered to their home on the Connecticut River. Each February, the Connecticut Audubon Society holds the Eagle Festival to celebrate the seasonal return of the eagles to the river from Canada and their comeback from the brink of extinction. As many as 100 eagles live in the Connecticut River Valley. "So are we staying in Essex or Hamburg Cove?" the navigator, examining the chart, asks the helmsman as the sun works its way lower on the horizon. 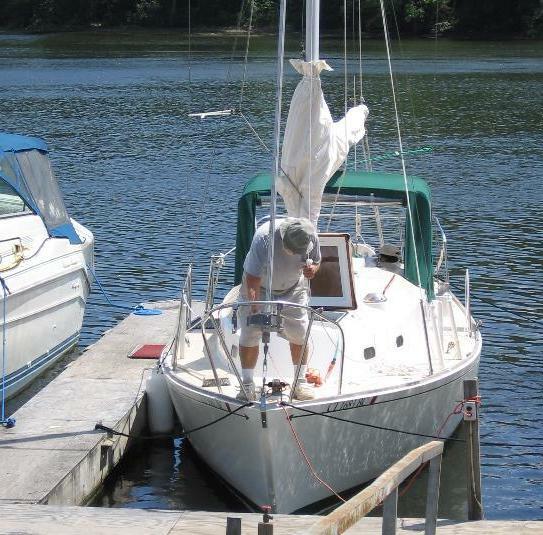 "How 'bout we see if we can pick up a mooring in Hamburg Cove?" the helmsman says. "Sounds good to me," says the navigator. 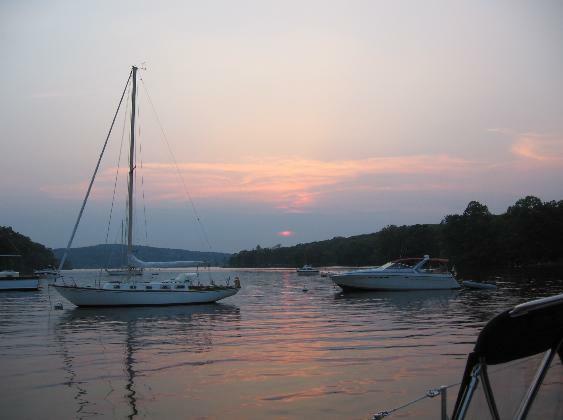 Hamburg Cove, a popular summer mooring spot -- and a good hurricane hole -- is one of the prettiest, most sheltered anchorages you'll find in the state. 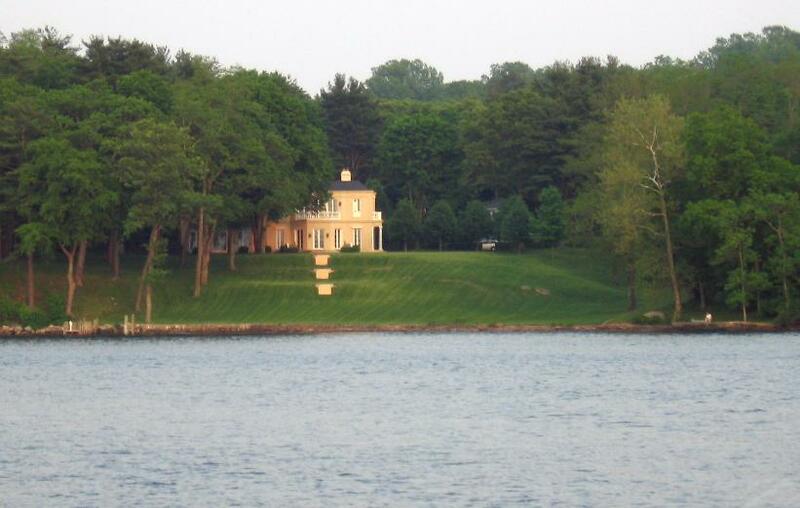 The houses on the riverbank become grander as we near Essex and Hamburg Cove. At Brockway Island, we turn east toward Hamburg Cove. 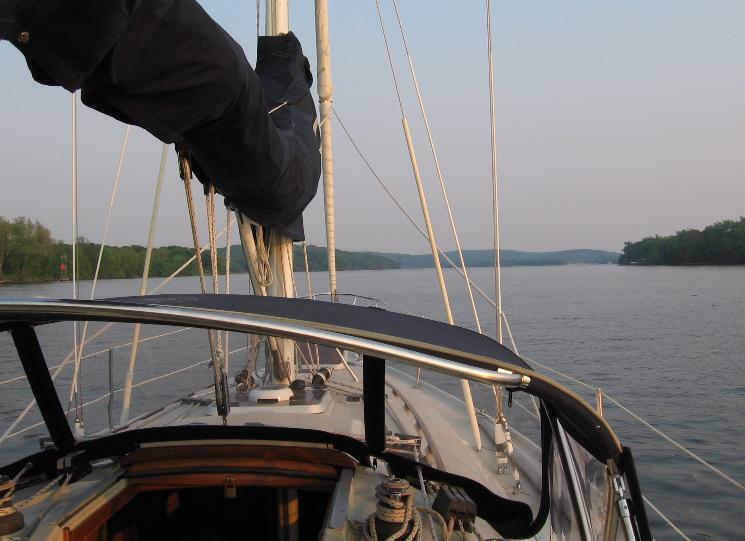 It isn't long before we're safely moored for the night, with a tranquil view of the cove during dinner in the cockpit. Text and photos by Brooke Martin. call (860) 342-1911 or send an e-mail.